Sometimes, when you don’t know “how to do windows 8 password reset”. it is very irritated even when you have to do some urgent works on your computer and you forget your windows 8 password or someone (may be your family member) change the password to prevent it from you. after that you may just think to reinstall windows or if you cant do that, you could just sit back and think what to do. I know you are here to get rid of that irritating situation, when you are not able to do anything except just being compelled. So we are going to teach you “How to do windows 8 Password reset”. 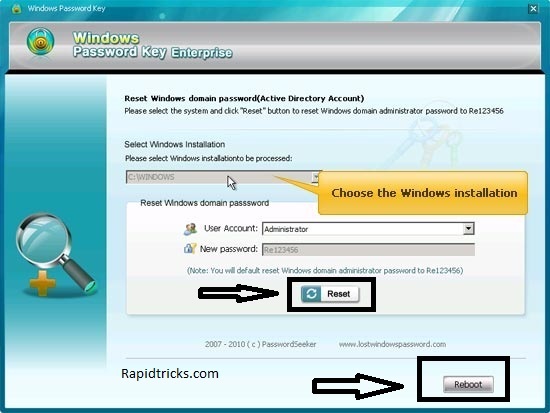 We are going to tell you about Windows 8 password cracker, which is easiest way to break windows 8 Password. First of all download Windows Password Key Enterprises in another PC. Install this software and insert a blank writable Disk into CD/DVD Rom. After burning the disk, insert it into your locked computer. Set Bios of your computer to boot from CD/DVD. Now your PC will boot from CD/DVD and you will see the following screen. Now choose option according to your PC info. 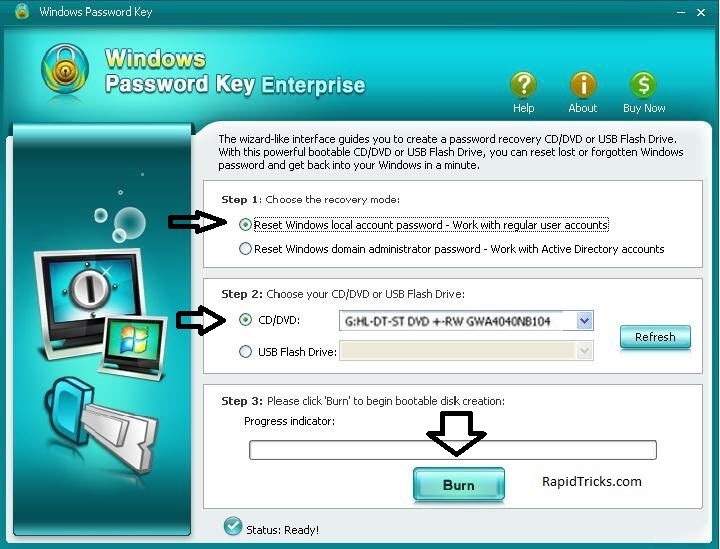 You’r all done now your PC will restart and you can login using your new created password. Please like and share to support us. Don’t Forget to Like us on Facebook to get all new updates Regarding tips and tricks.